The first step to preparing for the exam is to familiarise yourself with what you are going to be dealing with. So begin by finding out what subjects you have to prepare for, understanding the exam pattern and syllabus you need to cover for each subject. You can find out about the different subjects for different modules and programs here. Based on this information, you need to build a strategy for your preparation. Evaluate how much time it would take for you to study and revise the entire syllabus. Then, get into the specifics of each subject to understand your strengths and weaknesses. Naturally, you need to devote more time to your weaker areas to bring them up to the mark, and at the same time, build upon your strengths. This requires a careful, systematic distribution of time to each subject/topic, so that nothing is left out for the last minute. 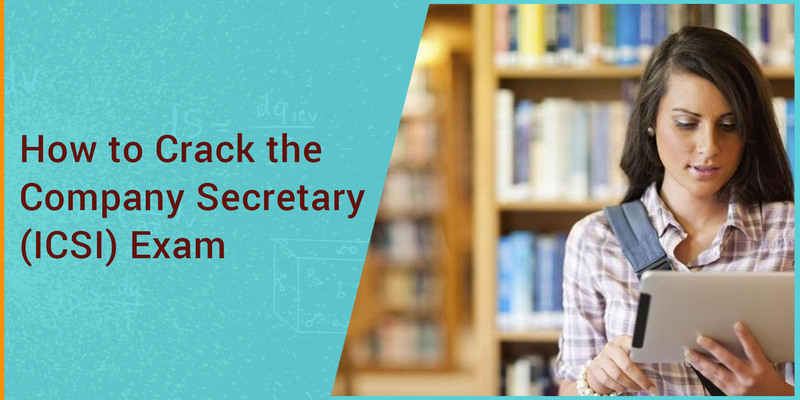 As with any competitive exam, there is a sea of books, ebooks, sample papers, mock tests and other materials to help you prepare for the CS exam. However, studying from or referring to excess material can do more harm than good, leaving you frustrated with a sense of not making a headway with an already vast syllabus. Choose your ICSI study material wisely, picking out best-sellers written in concise and effective manner from a competitive point of view. When devising a study plan or preparation strategy, most of us tend to take an idealistic approach and end up setting unreasonably ambitious standards of what we can achieve. You must revisit your strategy after a few days and tone it down a notch, if necessary. Once that’s done, make it a point to stick to your plan on a daily basis, so that it yields results in the long run. Missing out on precious study time because you were feeling too lazy to get out of bed or you spent that time hanging out with friends is just not done. Don’t wait to finish the entire syllabus before you start with the revisions. Revise whatever you’ve studied during the week over weekends to improve your retention abilities. As you near the completion of your syllabus, include writing practice in your revision process. There is no point in having a thorough knowledge of the course material if you can produce it in the right manner on the day of your exam. Write as you revise and attempt at least one sample paper of every subject every week to fine tune your readiness for the exam. Pressure tends to build up as you approach your exam date, leading to a lot stress, anxiety and self-doubt. At this stage, having faith in your preparedness is the only thing that will see you through. Make the final charge at the exams with the same zeal and positivity with which you started preparing for them.